for your special day, then this is just for you !! to us and won’t be seen anywhere else across the Northwest. free standing and uses the latest low voltage L.E.D lamps. and collection up to a 15 mile radius of our base in Aintree. We deliver up to a maximum radius of 60 miles. and will increase according to the mileage. fully refundable on the day of collection is there is no damage. Please call in advance to make your appointment. 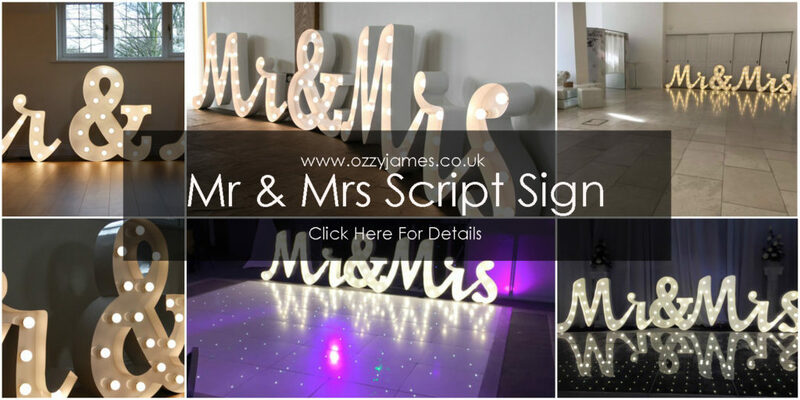 also Mr and Mrs sign hire in Cheshire.